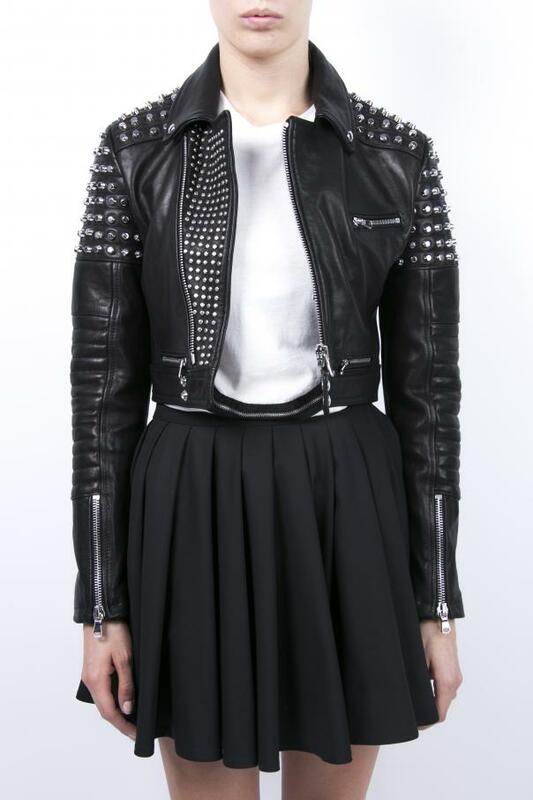 Black leather biker jacket from Diesel Black Gold. 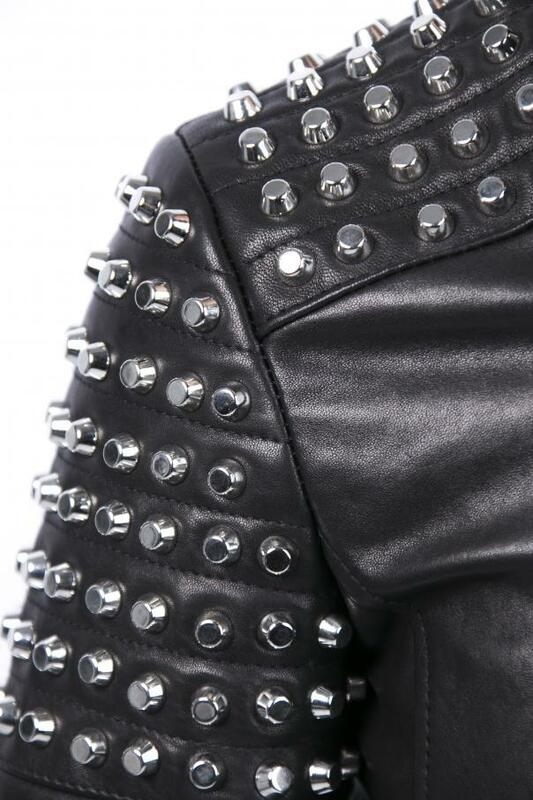 Silver-tone zipped fastening and metal studs. 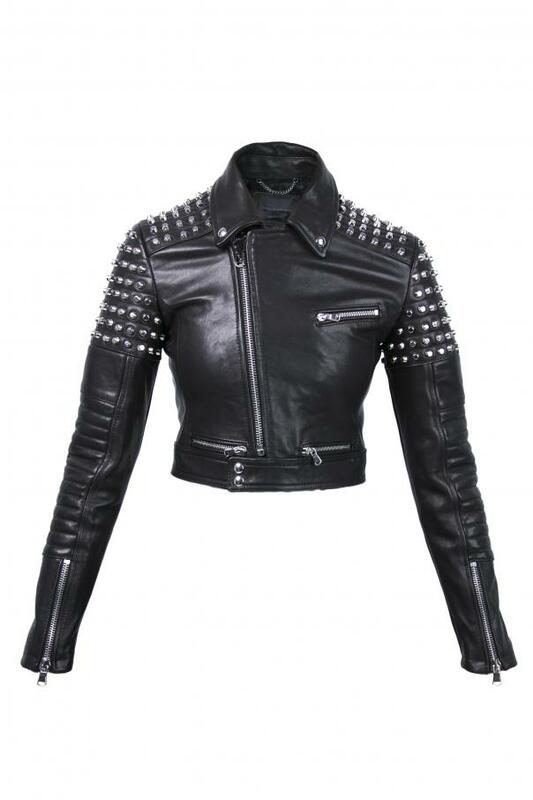 Zipped front pocket and zipped sleeves.